The family has distinguished itself in many ways and has been associated with other well known families. He was a distinquished surgeon. His wife Louise La Baptist was the daughter of a great patriot slain in 1602 while repulsing the Savoyards in a daring surprise attack on Geneva. His name is honored on a commemorative tablet. Jean was "Brigardier de La Venerie" to Prince Louis de Rohan on May15, 1668. His wife was Anne Prodhomme, daughter of Le Sieur Antoine Prodhomme. Jean later became a Master goldsmith. He succeeded to his father's business but left it for the church and was known as Pasteur de Vaudocouvre. His first wife was Sara Berjon of the "Spectable" Bernard Berjon of a very distinguished family from Lyon. He had 6 children by his first wife and 7 children by his second wife Barbille Francois de Nyon. His son Jean Jacques (1698 - 1751) became a gunsmith and a great marksman earning the title "Roi du Canon" and "Chef de Batterie". Abraham married the daughter of "Spectable" Francois d"Assier of an old Lyons family. His brother and sister married into the de Gillier family who held the baronies de la Frete and de la Batie. Apparently a man of 'great force' of character. His wife was daughter of Jean Baumgartner of St. Jean la Tour who came to Geneva in 1685. The family was closely associated with the French families of Ginestous de Montdardier and with d'Assas the French hero. Daniel, apparently, was a goldsmith and watchmaker. Here are two of his creations was recently offered for sale, on the internet. The third watch was made by a Moilliet but it is not know which one, possibly Daniel's son. This small ladies purse watch, just 20 mm wide, was made by a member of the Geneva Moilliet family. 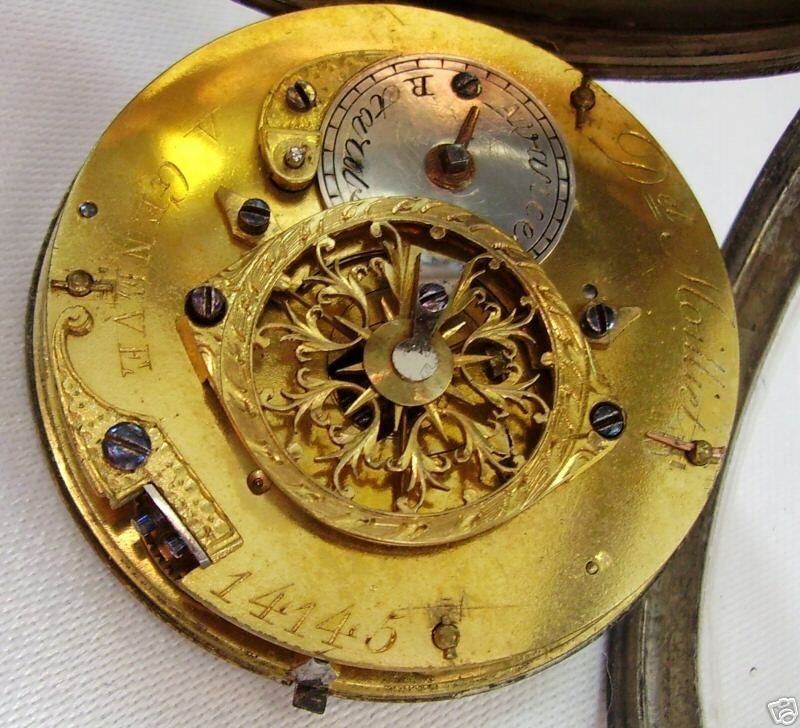 The tiny watch, signed Moilliet, is placed at the centre of a lyre, in gold and polychrome enamelwork. The design on the back represents doves and the attributes of music. The dates of the period are given as approximately 1793 - 1804. Born in Geneva and educated at Geneva College where he distinguished himself and was known among his school fellows as "Jean Cas-bras". He was the son of Daniel and Maria (nee Baumgartner). At age 16 he came to London, England in 1786 and later established himself in Birmingham in the export business and banking. He married Amelia Keir in 1801. They had 8 children. 5 of whom grew to adulthood. 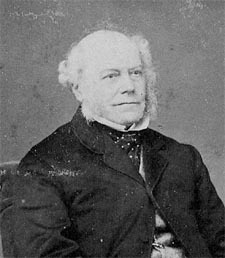 Sons James (1806 - 1878) and Theodore (1810 - 1886) succeeded to his many business ventures. Son and heir to John-Lewis Moilliet. 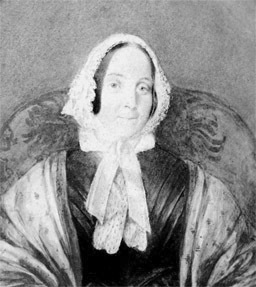 He married Lucy Harriot Galton (1809 - 1848) in 1832 and had 6 children, Lucy Amelia, Frances Anna Adelle, James Keir, John Lewis, Tertius Galton and Emma-Sophia. He had 4 children with his second wife Jeanne Sayous, Rosalie, Ellen, Alfred and Laura. Violetta was the mother of Lucy Harriot Galton, first wife of James Moilliet. She was the daughter Erasmus Darwin and she married Samuel Tertius Galton. 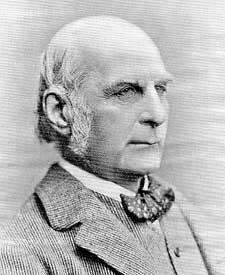 Her well know son was Sir Francis Galton. Her famous nephew was Charles Darwin. This art work is in a domed glass miniature that also has a small braid of her hair in the back. Son of Jean Louis and Amelia Keir Captain John Lewis departed England, with the 13th Light Dragoons holding the rank of Comet on November 20th,1826 and died May 2, 1828. Very little regimental history is record during this period. The regiment was stationed at Arcot. Between January 1828 and April 1829 it is recorded in regimental history "Owing to the cholera which prevailed in the cantonments (permanent regimental bases) at Arcot, the regiment marched out and went into camp on February 15, 1828, and proceeded on March 3rd from that encampment to cantonments at Arnee". According to the regimental historian, Captain G. E. Locker (retd), "Captain Moilliet could well have fallen foul to that disease". 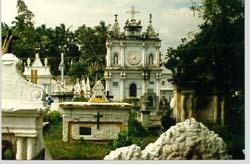 He is buried in the Protestant Cemetary at Pondicherry, India. Apparently the rank of Comet made him a colours bearer. John Lewis was educated at St. Paul's School, London. He came to Canada and taught school in Victoria, B.C. Later he moved to Vavenby B.C. where his brother Theodore Albert (TAM) was carving a ranch out of the valley forest. It seems as World War I dragged on he felt it his duty to participate. 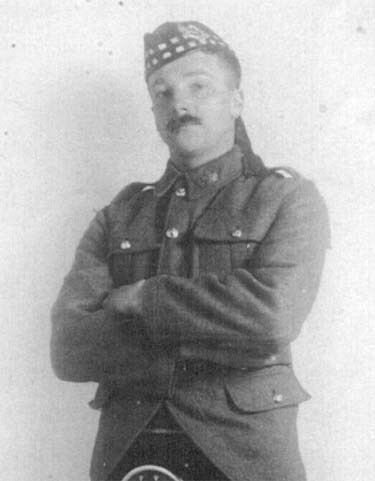 He enlisted with the 72nd Battalion (Seaforth Highlanders) in Vancouver, B.C. on September 20, 1915, disembarked from Halifax April 28, 1916 and arrived in Liverpool, England on the 7th of May 1916, having crossed the Atlantic on the Canadian Pacific's Liner Empress of Britain. Private Moilliet embarked for France in August, landing at Havre on the 13th of June. He served with the 72nd Battalion on the momentous attack on Vimy Ridge on the 9th of April 1917. Here the Canadian troops succeeded where their French and British allies had failed to dislodge the Germans from their positions on the ridge. John Lewis suffered a shrapnel wound to the jaw and was admitted to the 4th Stationery Hospital at Arques, St Omer. After a ten day stay, he was discharged and served at the front for another six weeks. On the 9th of June he was sent on a two-week Musketry Course, but only a week after returning to his unit he was killed in action on the 28th of June at the trench battle near the French village of Avion. He was buried not far from where he fell at Villers Station Cemetery, Pas de Calais, France, along with over 1000 other Canadian soldiers. Here in an excerpt of the battles at Vimy Ridge and the taking of the trenches at Avion by Bernard McEvoy and Capt. A. H. Finlay. 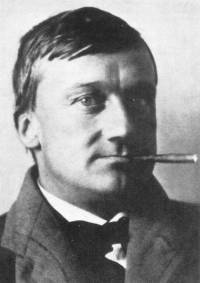 One of the early Swiss expressionists, Louis was a close associate of August Macke and Paul Klee. He was a painter and stained glass designer. 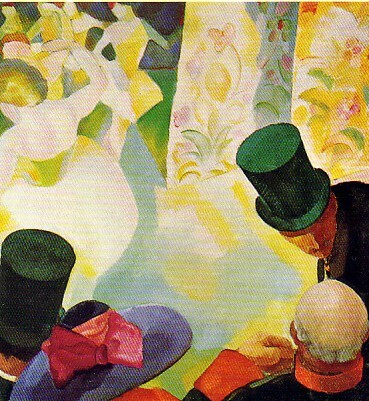 He mostly painted in watercolors in a style closely connected with that of the Orphism movement. 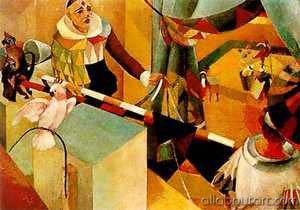 Louis was responsible for bringing his lifelong friend, Paul Klee into the Blaue Reiter group in 1911. After World War I, Louis began traveling in the Mediterranean region. 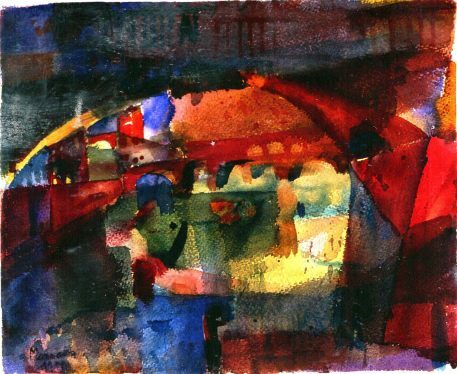 As a member of the Blaue Reiter group he accompanied Paul Klee and August Macke to Tunisia in 1911 and again in 1914 on a journey whose repercussions on the development of expressive abstraction have become famous in the history of 20th-century art. In 1919, he visited the German-Swiss writer Hermann Hesse and often went painting with him in and around Montagnola.The two subsequently remained lifelong friends. Hesse confessed that "during the time when I was half painter, I was influenced by Moilliet." Hesse immortalized him in the story Klingsors letzter Sommer as Louis the Cruel, a man who "fully understood his art, whose own art was close to his and equal to it." In 1943, the collection of stories, illustrated by Moilliet was published by Hesse. Louis passed the war years in Switzerland and then in 1919 began extensive travel after which he lived in seclusion at La Tour de Peiltz on Lake Geneva. Moilliet was at his best as a watercolourist, achieving a brilliant transparency of colour in his landscapes. He also designed windows for the Lukaskirche at Lucerne from 1934 to 1936 and for the Zwinglikirche at Winterthur in 1943-4. Louis married Hélène Valentine Gobat, daughter of Noble Peace Prize recipient Charles Albert Gobat. Hélène died unexpectedly in 1916 and he later married Marguerite Zeaslin. His parents were George Marc, an officer in the Swiss Cavalry, and Mathilde (nee Sherer). 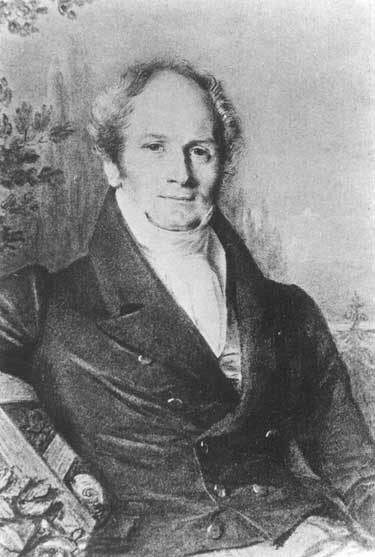 Louis had two sons, Pierre Albert and Carl Peter. These two brothers and Pierre's sons Alain and Guy, along with their spouses and Peter's daughter Eva, are all that remain of the Swiss Moilliets.